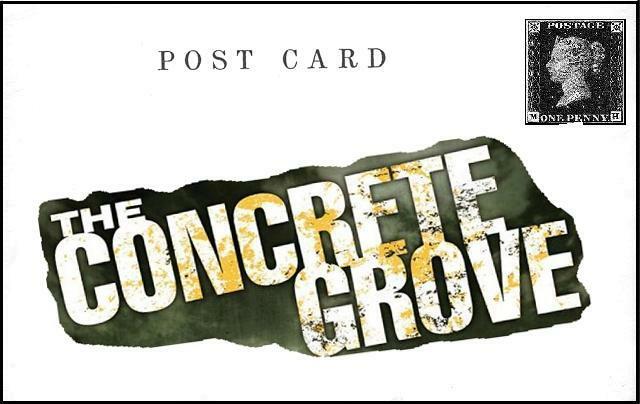 The Solaris Editors' Blog: Gary McMahon continues his "Postcards from The Concrete Grove"
Gary McMahon continues his "Postcards from The Concrete Grove"
Near the border between Northumberland and Scotland (but actually lying for its whole length within England), you’ll find the Roman Emperor Hadrian’s famous wall. It was built 80 Roman miles long, its width and height dependent on the construction materials used along any particular stretch. The wall originally extended from Wallsend on the River Tyne to the shore of the Solway Firth. 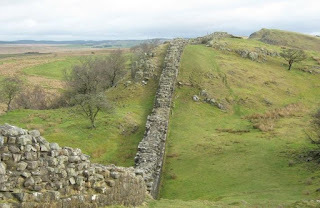 It’s a common misconception that the wall was built to keep the Scots out of Roman-occupied England, but that isn’t specifically true. There’s no actual documented reason for the building of the wall. It was meant to keep “intact the Empire”, which suggests that it was a symbolic boundary as much as a physical one. This is a notion that appeals to me greatly, especially in terms of the novels. Construction of the wall began in AD 122 and took almost six years to complete. In The Concrete Grove, the wall becomes a symbolic stone serpent; the long manmade boundary gains a bastardised form of life because of the violent upheaval of power in the area. I used the image to represent the idea of all boundaries being mutable, constantly shifting as various forces repeatedly collide and constantly mutate. This imagery echoes the many power struggles in the novel; between the individual characters, between doing what’s right and doing what’s easy. It also represents the infinite sense of unseen movement between the two worlds that co-exist within the space occupied by the Concrete Grove housing estate. Silent Voices, the second book in The Concrete Grove trilogy, is available now in the UK and North America.